Brick Lane. Its reputation for fine Bangladeshi cuisine will cause most Londoners to salivate, but there’s more to this area than chicken biryani and aloo bhaji. 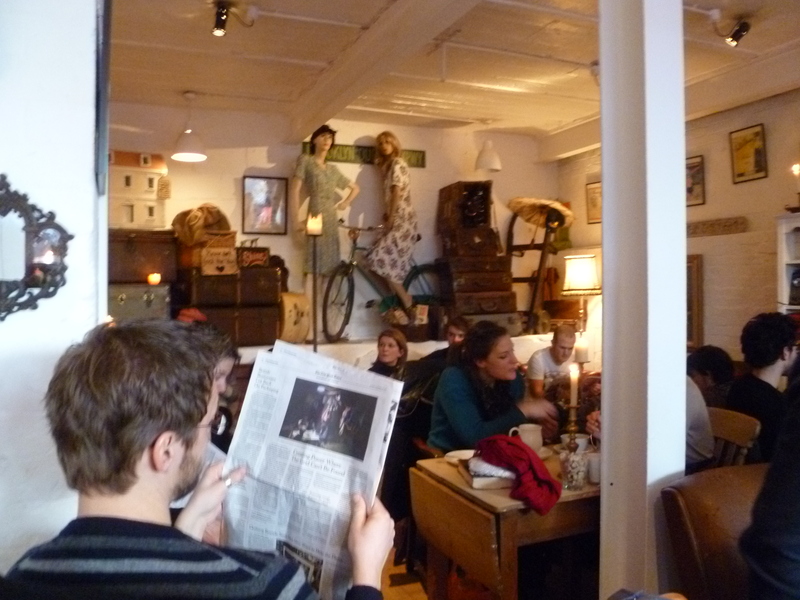 It also offers an abundance of beautiful bargains, eclectic eateries, and tranquil tea rooms. Perhaps the coolest thing about the East London crowd is their knack for recycling everything. This is why a simple walk down any given street in the area will find you passing at least three vintage shops full of treasures from the past. I would invite anyone and everyone to explore these shops, but you should expect the goods to be highly overpriced. I can vouch for this firsthand after I had to disappointingly return a beautiful pink dress to the rack after I saw its £80 price tag. Ouch. Luckily for you, however, there are plenty of awesome things to be found in the stalls of Brick Lane Market that won’t cost you an arm and a leg. 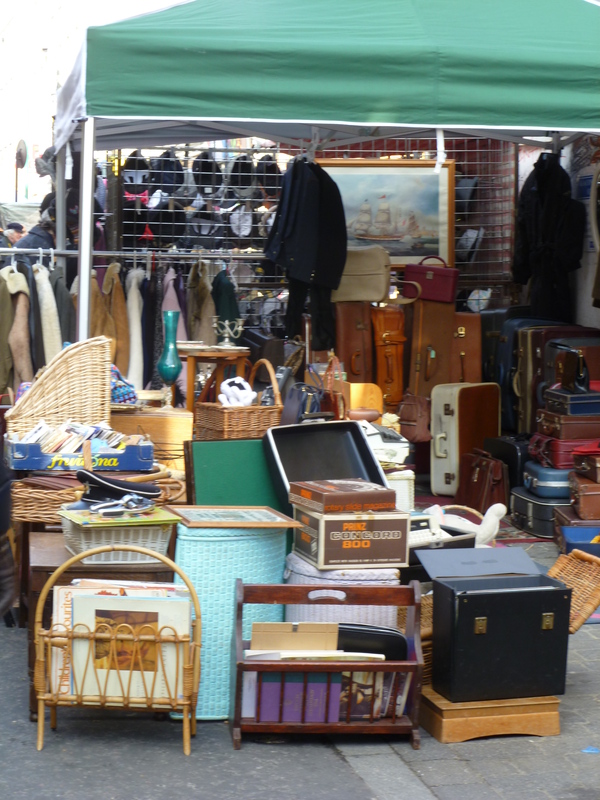 Brick Lane Market is undoubtedly a one-stop-shop for anyone hoping to add some character to their home. Especially if this character happens to come from the 60s or 70s. As a lover of decades past, I naturally get a little excited at markets. Combine this with my natural love for bargains, and a day at the market is a recipe for perfection. Each stall has its own character. It’s quite easy to see which vendors take pride in their stalls by providing quality goods. Beware of those who sell anything that can simply make them a pound. You’ll know these vendors when you see them; they’re the ones selling questionable “new” bed sheets and bulk packages of toothpaste and toilet paper. My advice? Avoid them. I had been searching for an authentic, working phone from the 60s or 70s for months. Ebay was too expensive, vintage shops never had working ones, and the high street had nothing to offer since I hate modern reproductions. But Brick Lane put an end to my search. In a cluttered stall full of antique luggage, magazine racks, and vinyl records was a yellow telephone sitting alone, covered in dust. A diamond in the rough. Just what I had been looking for! I asked the stall owner if it was in working condition. The nice lady told me that it was, and reassured me with a verbal promise that I could bring it back for a refund if it wasn‘t. This was good enough for me, so I paid the very reasonable price of £15 and continued on my way. After a good clean, it now sits in my living room amongst other second-hand gems. If all that browsing makes you thirsty, venture into the Vintage Emporium for a truly unique experience. Mismatched plates and teacups surround the atmosphere whilst mannequins on bicycles look down on you. Sit back in the eclectic parlour room. Order a hot drink, a juice, or any number of a sandwiches which the staff will make in front of you on their tiny counter. Consider it a bonus if you’re lucky enough to be served by the employee who looks exactly like Edward Scissorhands. Go for a tea, leave with an experience. And perhaps some vintage clothing from the downstairs shop which is owned and operated by the same people. But don’t fall in love with anything until you’ve checked the price tag.